Bake for 10 minutes or until the pastries are golden brown. 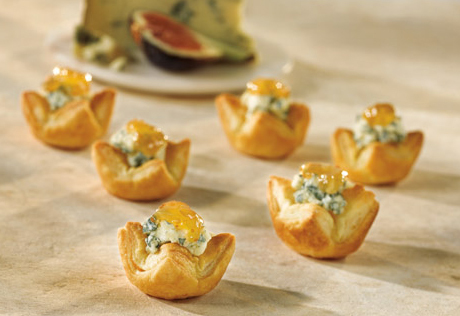 Place 1 piece blue cheese into each pastry cup and top with about 1/2 teaspoon jam. Bake for 5 minutes or until the filling is hot. Let the pastries cool in the pan on wire racks for 10 minutes.